An event called “UB Connected” will be held November 4-5, 2018, at Rhodes Grove Camp in Chambersburg, Pa. It is sponsored by the United Brethren Association. The event begins at 3 p.m. on Sunday, November 4, with a missions presentation by UB Global Director Jeff Bleijerveld, Sierra Leone Bishop John Pessima, and Liberia Bishop Moses Somah. Dinner will begin at 5:00 p.m., followed by a message from Bishop Todd Fetters at 6:30 p.m.
Keith Elliott, senior pastor of Criders UB Church, and Marc Stephenson, senior pastor of Mt. 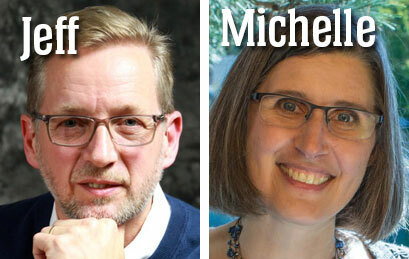 Olivet UB church, both located in Chambersburg, Pa., will speak on Monday morning. The event concludes with a noon meal. There is no cost to attend sessions. However, there are fees for meals and lodging. Help spread the word at your church by printing the 2018 UB Connected Brochure and the 2018 UB Connected bulletin insert. Bishop Todd Fetters leading the ELT meeting. The Executive Leadership Team met October 15-16 at the United Brethren National Office in Huntington, Ind. The ELT consists of the bishop, six ministers, and six laypersons. They include three persons from each of the four geographic regions. The ELT meets twice a year, in the spring and fall. At this fall meeting, the ELT discussed new initiatives for church planting and pastoral coaching, connections between churches, and a strategic vision for moving the denomination forward. The ELT also took care of several financial matters, including approving the 2019 suggested pastoral salary, and the 2019 denominational budget. You can download the 2019 pastoral compensation formula here. L-r: Dennis Wood, Linton Thomas, Gary Small, Marvin Schwartz. Rev. Dennis Wood was appointed senior pastor of Park UB church (Bluffton, Ind.) effective July 29, 2018. The previous pastor, John Cole, had served there since 2010. Gary Small is serving September and October as supply pastor of First UB (New Castle, Pa.). 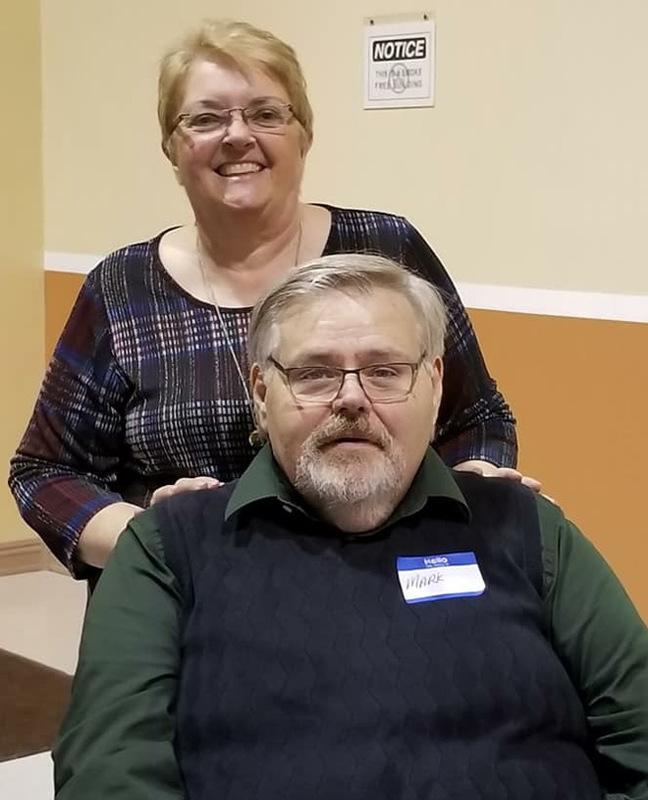 David Bell, who had been senior pastor there since 1990, passed away September 8 as a result of ALS (Lou Gehrig’s Disease). First UB is Gary’s home church, and where he began his ministry in 1985 with six years as youth pastor. He served at nearby Atlantic Avenue UB (Franklin, Pa.) 1991-2016. Rev. Linton Thomas resigned as pastor of First Church Bronx (Bronx, NY) effective August 31, 2018. He had been the senior pastor for 20 years, 1998-2018. Marvin Schwartz will retire effective November 11, 2018. He has been serving as pastor of Mt. Victory UB church (Decatur, Ind.) since June 2015. The church is waiting on an assignment. New Beginnings UB church (Montpelier, Ohio) closed as of August 26, 2018. They will auction their buildings and property, with the proceeds going toward UB church multiplication. This church was founded in 1869. Richard Thorp had been the supply pastor since 2010. Crosslife UB church (Columbia City, Ind.) closed September 28, 2018. This church began in 1997 as a church planting project of the Center for Church Planting in Northeast Indiana, a cooperative venture of Central and Michindoh conferences. The church used the name Eagle Quest until 2017, when they undertook a relaunch and rebranding under the leadership of Rev. Teddy Fairchild. Maranatha UB church (Perrinton, Mich.) closed as of September 30, 2018. They are selling their property and donating the proceeds to a 501(c)3 of their choosing. This church was founded in 1878. Larry Mepham had been the pastor since 2011. Fresh Spring (formerly Living Word UB of Columbus, Ohio) voted unanimously on October 7, 2018, to withdraw from the denomination. They had been meeting at a new location where they decided to join with another group. This church began in 1968 when the congregation, formerly part of the Evangelical United Brethren Church, affiliated with us rather than join the merger into the United Methodist Church. Back then, the church’s name was Redeemer United Brethren Church. Hundreds of people have been killed in Nicaragua since April 18 in what has become a popular uprising against the Central American country’s president, Daniel Ortega, and his government. 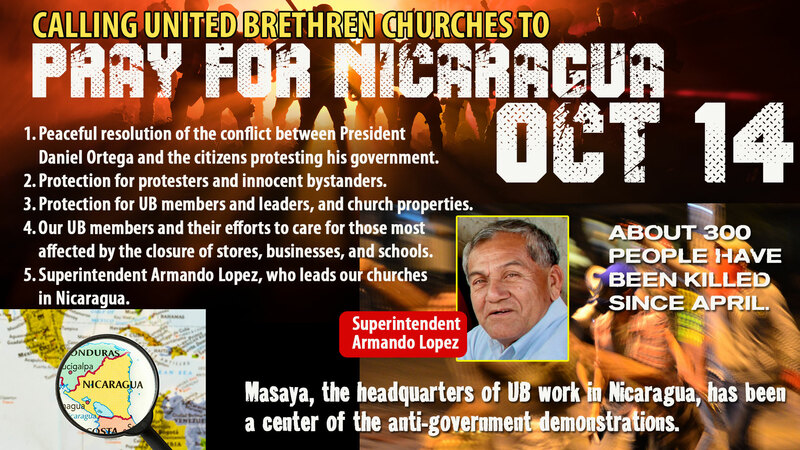 We invite all our churches to join us in prayer for Nicaragua this coming Sunday, October 14. You can use this Powerpoint slide (1920x1080px). Below is an update we received at the UB Global office this morning (October 10) from our national leader, Bishop Armando Lopez. “The situation is still very difficult, as there is no security for anyone, even foreigners. Everything has been deeply politicized, and there is a profound economic crisis at present. The cost of living has increased 70 percent, and fuel by 20 percent. Unemployment shot up to almost 300,000 unemployed. The crisis has driven away tourism, which was one of the major economic drivers. Restaurants and hotels have had to close their doors and lay off employees. Add to this tropical depression Michael that flooded farm fields and neighborhoods. Thousands of victims are in shelters, such as churches or houses, having lost almost everything. “As a result of these pressures, the crisis is hitting everyone, not simply the poorest, who already live with very little. In addition, there are serious threats from the United States of sanctions against Nicaragua to force the government to negotiate with its citizens. These sanctions would be the withdrawal of international loans that would hit Nicaragua very hard. Pray concerning the lack of food to feed the hungry, and the treatment of the sick. We are concerned for those in Niquinohomo who have been particularly hard hit with health concerns. “Political persecution remains strong, resulting in thousands of young people migrating to Costa Rica. More than 500 people are being held as political prisoners, accused of terrorism, and tortured by the police and paramilitary forces. Even though the new stories no longer appear in your newspapers or news broadcasts, the protests in the street continue, although not so many people, due to the risk of arrest, torture, and death. Julie Hui (left) and Lai Au Yeung. Julie Hui and Lai Au Yeung, from United Brethren churches in Hong Kong, have been part of our international team in Thailand since October 2016. Both have now completed their two-year commitments and have returned to Hong Kong. 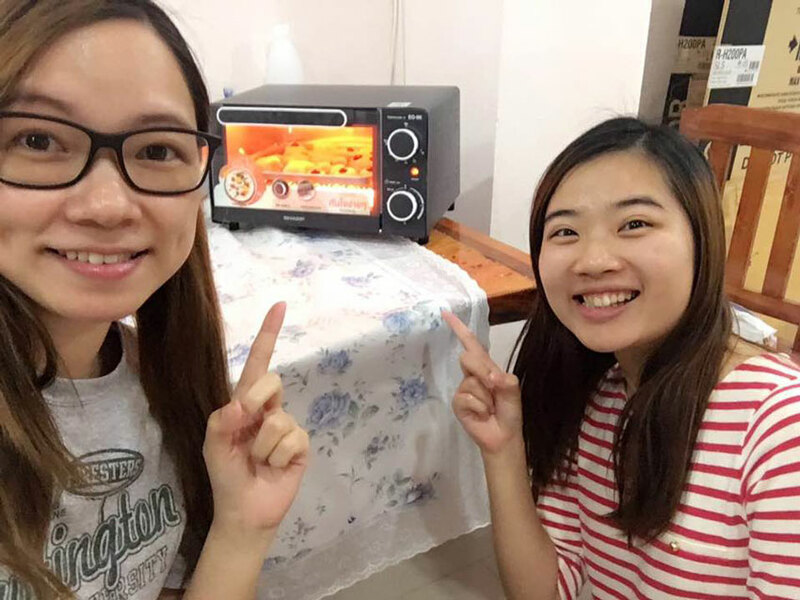 Julie and Lai were a crucial part of beginning the friendships and ministries around the UB community center in Chiang Rai, and modeling Christ’s love to those around them. Lai returned to Hong Kong in early June to continue her teaching role in a kindergarden. Julie, who graduated from Huntington University in May 2016, left Thailand in September. However, she will remain involved by overseeing the Thailand ministry for Hong Kong Conference. Members of the UB Global team are heading across the Atlantic this week. On Wednesday, Executive Director Jeff Bleijerveld will fly to Paris, France. A congregation of Haitian immigrants on the outskirts of the city is interested in becoming United Brethren. The connection comes through Rev. Oliam Richard, superintendent of our churches in Haiti, who planted this church 20 years ago. On Thursday, associate director Michelle Harris leaves for a week in Sierra Leone. She’ll meet with our three missionaries at Mattru Hospital—Dr. Jon and Heleen Yoder, and Pamela McKee. Our missionaries work under high pressure all of the time, so spending a few days away from the hospital and talking about the future will be a welcome and valuable time. She will also meet with Abdul, the new business manager who oversees the solar and water projects based at Mattru Hospital. Liberty UB Church (Stockport, Ohio) will celebrate its 150th anniversary on Sunday, October 14. Bishop Todd Fetters is the guest speaker for the 10:30 a.m. worship service. The next Sunday, October 21, Bishop Fetters will speak at another anniversary–the 20th anniversary of Anchor UB church in Fort Wayne, Ind. Mark and Ruth Ralph, retiring after 43 years in ministry. 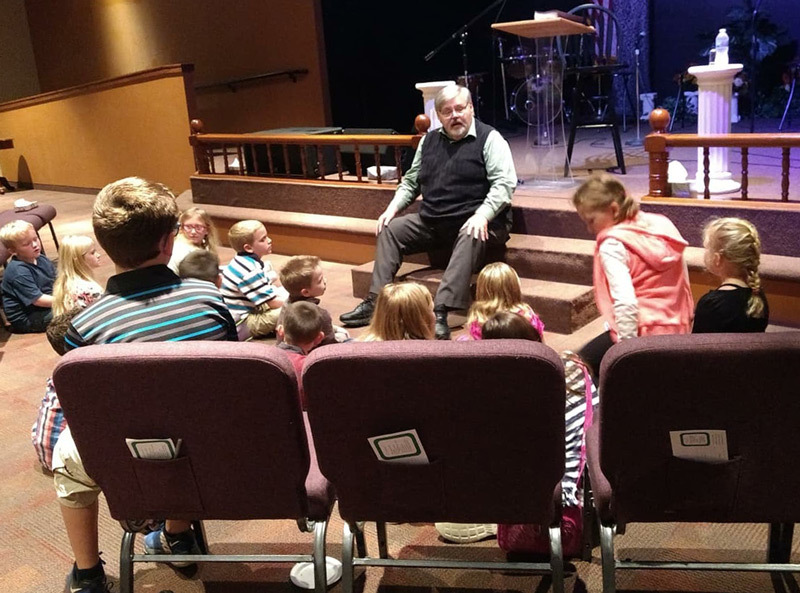 Pastor Mark Ralph speaking to children. Mark Ralph with his father. 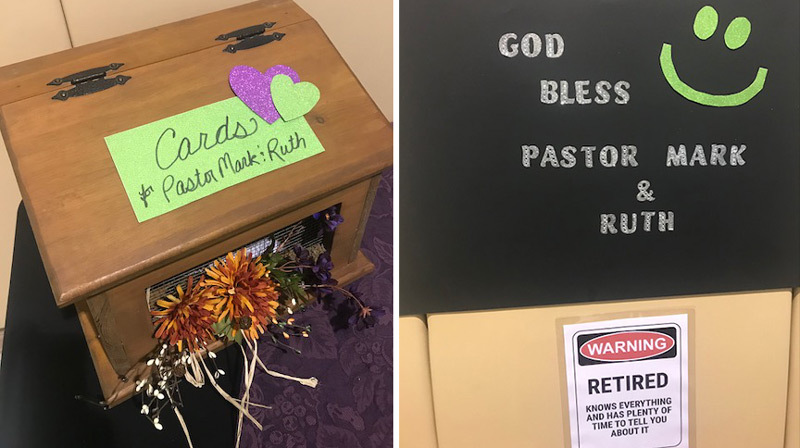 On Saturday, September 29, a retirement party was held for Pastor Mark and Ruth Ralph, who have served in pastoral ministry since 1975. Of those 43 years, all but about ten years were spent at United Brethren churches. 1975-1981: Brown Corners UB church (Clare, Mich.). 1983-1986: the UB church in Charlotte, Mich.
1986-1989: UB church planter in Birmingham, Ala.
1997-2009: Sunfield UB church (Sunfield, Mich.). 2012 to the present: Mt. Zion UB church (Wayne, Ohio). Some folks from Mark’s previous pastorates attended the retirement celebration. 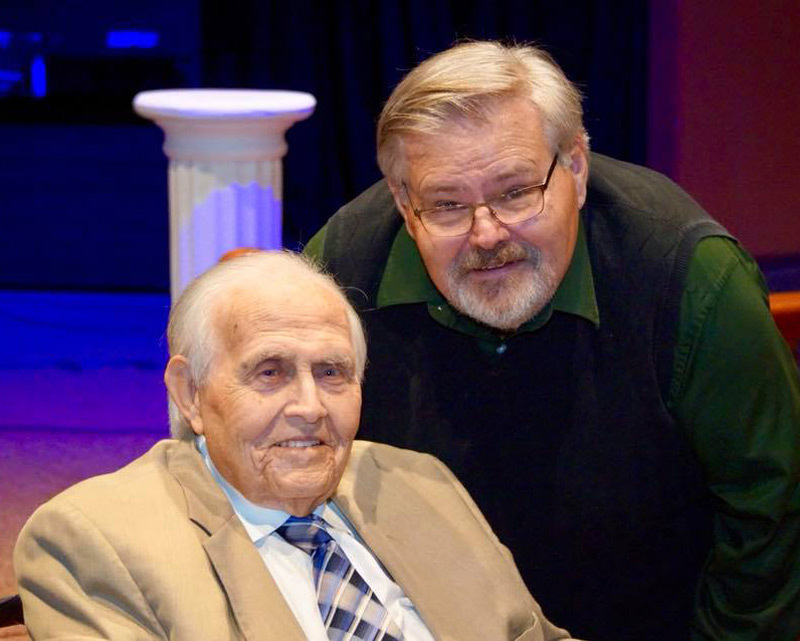 Also present was his father, now age 96, a longtime minister in the Evangelical Congregational Church. Mark was present for his father’s last Sunday in fulltime ministry. His father returned the favor on September 30, hearing his son preach his final sermon as pastor of Mt. Zion. Mark graduated in 1974 from Huntington University with a degree in Bible & Religion. 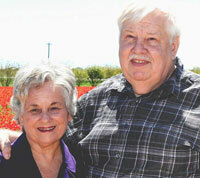 Now age 67, he and Ruth are retiring to a home in Ohio City, Ohio, near where their daughter lives. Roger and Marilyn Reeck (right) are endorsed UB missionaries serving with Wycliffe Bible Translators. 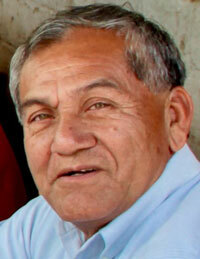 They are based in La Ceiba, Honduras, but consult with Wycliffe projects in Africa and Latin America. Roger returned to Honduras from Brazil on Thursday night, where he worked with the Yaminawa translation team. One of the four persons was from Bolivia and the other three from Brazil. They checked half of Luke, Mark, and Acts during the three week session. Marilyn returned from Colombia on Friday night. She had travelled to the Colombia/Venezuela border where a training session was held for Venezuelan pastors and their wives and other church workers. There were two groups of 36 people and seven trainers.